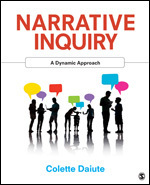 Narrative inquiry in education research builds on theory and practice defining narrating as a social process. The course format includes presentations and hands-on modules for narrative research design and narrative analysis in studies of teaching and learning sensitive to diversity, social change, and other issues. Course participants are graduate students, early career scholars, and advanced researchers becoming familiar with narrative inquiry. Course objectives include to present principles of narrative inquiry, to illustrate these principles in prior published research, and to practice applying the principles in new studies. Potential assignments include doing values analysis and significance analysis to examine narrative data provided by the instructors or data brought by course participants. No equipment or prior experience with narrative analysis is required.